There are so many things to LOVE ABOUT FALL!!! Thanksgiving is one of the many things I love about fall. I love it because it causes us to be intentional in our gratefulness. It is the perfect precursor to Christmas. It prepares our hearts in a beautiful way. 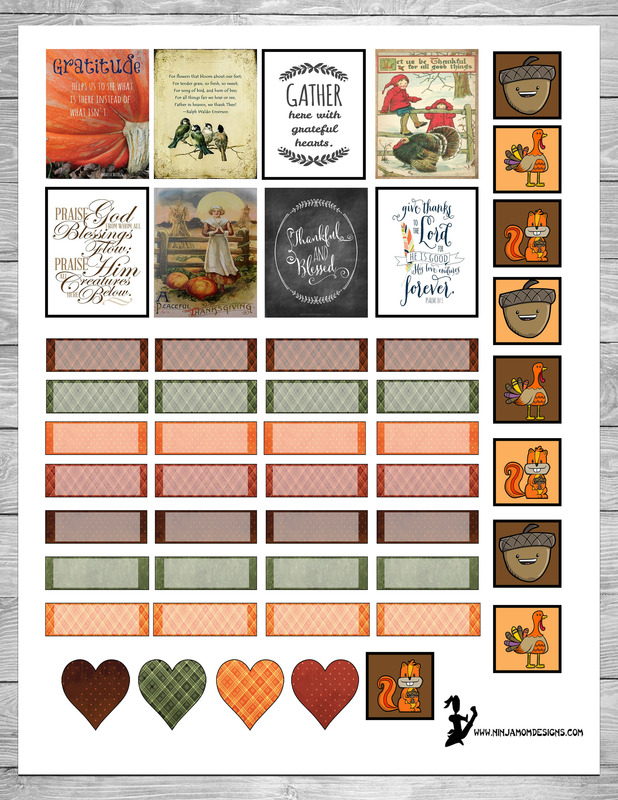 This FREEBIE is Thanksgiving themed with some fun images I found on Pinterest sized 1.5 inches by 1.9 inches as well as small boxes sized 1.5 inches by .5 inches- perfect for writing notes, reminders, things you’re thankful for, etc. If you like these stickers, be sure to check out the set listed on Etsy! I LOVE your designs. And I LOVE that you post them for us to print. 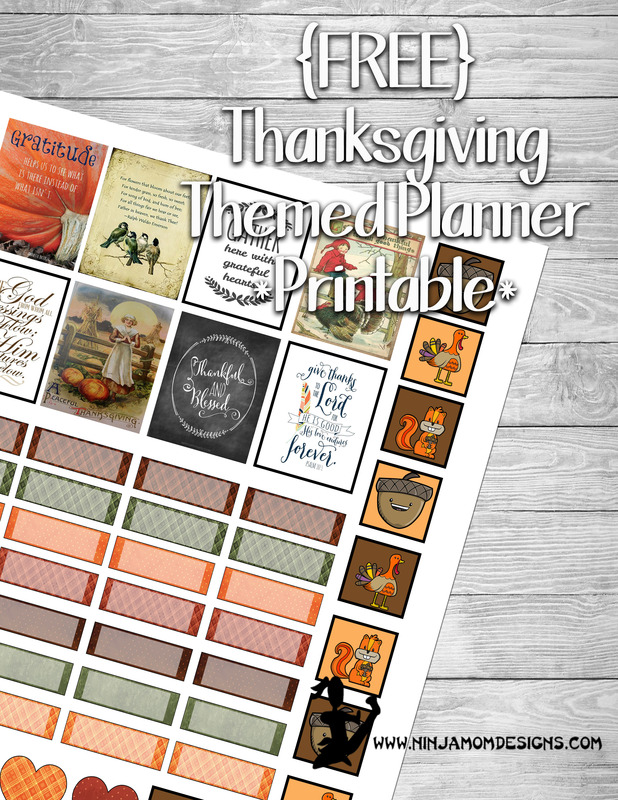 My favorite right now is the Thanksgiving themed page. It is perfect. Thank you! Thank you so much!!! I am so glad you like them and are able to use them!!! I love designing… and planning! Beautifully done stickers. Thank you for sharing them.